You may think that your prescription safety glasses are sturdy enough to withstand hell, high water, and high-velocity impacts but that doesn’t mean you should disregard their care. In fact, because they keep you save in dangerous situations, it’s even more important that your glasses be in perfect repair and offer unflawed visual clarity during your work. While it’s true that the vast majority of prescription safety glasses have a heavy-duty anti-scratch coating, they can still get scratched, the lenses can still become smudged or stained, and the frames can still be damaged by misuse. If you want your prescription safety glasses to last you all the way until it’s time to update your prescription, it’s best if you try to take good care of them even if they live in the shop or your toolbox. As much as your safety glasses protect your face, the biggest danger to the glasses themselves is from falling off your face entirely. This can happen all too easily if the temple arms get loose or the frames get misaligned due to squishing or heat warping which can happen if you leave them in a hot garage, car, or workshop. Having safety glasses that fit well is vitally important, and not just for keeping the glasses from hitting the ground. Badly fitted safety glasses can pinch and cause headaches, become crooked and mess up your vision, or worse, fall off at the wrong moment simultaneously distracting you and putting your eyes in danger. To avoid all of these negative potential consequences, make sure your safety glasses still fit right and visit your optician if they don’t. An optician will be able to soften the plastic and metal, then bend the glasses back into shape so they sit firmly and comfortably on your face again. Who wants to pick up their safety glasses at the beginning of the day only to find them covered in yesterday’s sawdust? The materials you work with at home or on the job are often gritty, fractured, and airborne which is why you wear safety glasses in the first place. Everything about your work environment, you and the glasses will pick up during your shift. While you can go home and take a shower, the glasses will stay dirty unless you give them a quick rinse as well. Every time you’re done working, make sure to rinse the dust and debris off your safety glasses, then dry with a clean lint-free cloth so you leave no smudges or little thread bits on the lenses. Remember to rinse the temple pieces as well, they’re the parts your head touches. Where do your safety glasses go when you’re done with them? Having a designated place to put them means having an easier time finding them later on and simplifies the task of keeping them safe. 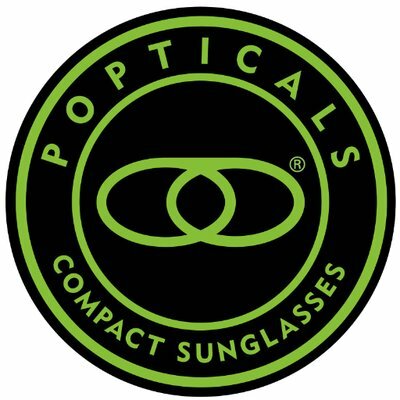 Ideally, your safety glasses will be enclosed in a protective hard-shell case when unused and stowed somewhere you’ll know where to look when you need them. If you like to keep your safety glasses in a portable location like your toolbox, rattling around with metal tools is a great way to scratch up even a strongly scratch-resistant surface. In a hard case, on the other hand, you can toss those babies into a box of drill bits and shake it without the glasses taking a single iota of damage. If, however, you prefer to leave them out on a counter or shelf, there are protocols for this method as well. Make sure that if you set the glasses down without a case to never let them on the lenses themselves. Glasses on a shelf should ideally be set on their backs with the top bar and flat lines of the earpieces on the surface and the lenses safely vertical. You’ve probably heard of and worked with microfiber cloths, but why exactly are microfiber cloths so great for lenses? The answer lies in what makes a cloth bad for lenses. What you don’t want when cleaning your glasses is rough material that might scrape the lenses on their own, linty material that will leave bits of thread on the surface of your glasses, or dirty material that drags rough particles across the lenses potentially causing new scratches as you clean. While any soft lint-free cloth will do, microfiber is the best material that meets all three of these requirements and leaves a smudge-free shine. The reason this is important for your prescription safety glasses is because visual clarity is vital for work safety. Okay, so microfiber cloths are awesome and wiping your safety glasses mid-job with them is a good diea to minimise finger smudges and other environmental factors. However, these cloths are great for cleaning in part because they pick up any particles they swipe by. This means that once you have used a segment of microfiber to wipe your glasses, you’ll need to use a clean section the next time and wash the cloth soon so that the next swipe isn’t with a dirty cloth that might be dragging sharp lens-scratching particles within its tiny fibers. Let’s say you were being properly safe while working on your vehicle and wore your prescription safety glasses during engine maintenance. Halfway through, you manage to get a big smudge of engine sludge, that ambient sticky black stuff, all over the lenses. You know your microfiber cloth won’t cut it and the lens cleaner might not even be strong enough but under no circumstances should you break out the heavy chemicals. Acids or other potentially corrosive materials could not only damage the safety lens coating but the lenses themselves. If your glasses get particularly dirty, sticky, or greasy, start with ample lens cleaner and a lint-free cloth and if that doesn’t work, head for the sink. A little gentle dish or hand soap rubbed over the lenses and frames under warm water should do the trick without using harsh cleaning solutions. If you put on and take off your safety glasses a lot over the course of a job or if your glasses have actually repelled an impact in the recent past, there’s a good chance that your temple hinges will get loose and one of those tiny screws may even escape. The good news is that you don’t have to go looking for a miniature screw and your smallest shop screwdriver because glasses repair kits are sold almost everywhere from grocery to software stores. These usually include a small two-sided screwdriver, a few extra tiny screws, and a small cleaning cloth. They can also include a small magnifying glass for help with the tiny screws and/or a little spray bottle of lens cleaner. Your prescription safety glasses aren’t particularly delicate but they do take a certain amount of extra care to keep them in the best possible quality. 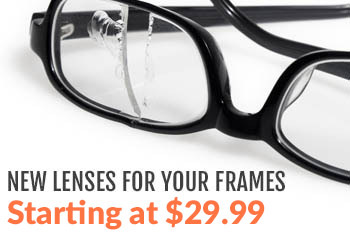 This allows the glasses to provide optimal visual clarity and protection while you work. For more information about prescription safety glasses or to order a new pair online, contact us today!